PatronManager’s mission is to revolutionize the ticketing industry by providing arts, culture, and live entertainment organizations with integrated world-class customer relationship management, box office ticketing, fundraising, and marketing solutions, built entirely on the world’s most advanced cloud-based CRM platform – Salesforce. Since launching in 2010, PatronManager has been the fastest growing platform for arts & culture organizations in the U.S. Over 750 organizations use PatronManager, primarily symphony orchestras, theatres, opera companies, dance companies, university performing arts centers, and museums. The company was founded by Eugene Carr, a multi-faceted innovator and professionally trained cellist who served as Executive Director of New York City’s American Symphony Orchestra and then started CultureFinder.com, the first to bring cultural event listings and online ticketing to AOL in the 1990’s. 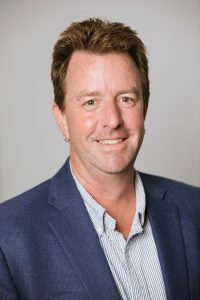 Mr. Carr founded the company in 2001 with Ross Kudwitt, and the company quickly became the leader in e-marketing technology for arts non-profits with its first product, PatronMail. Michelle joined Patron in 2005, and for over a decade she has guided the company’s product development and innovation. As Managing Director, Michelle is responsible for driving PatronManager’s continued success in helping arts and culture organizations build stronger and more profitable relationships with their patrons. Michelle’s focus on customer success has been a constant throughout her tenure at the company, with previous leadership roles overseeing the support and education teams, co-creating and co-chairing the PatronManager Community Meeting (the company’s annual conference with over 200 attendees from client organizations around the country), and leading the product development team in building PatronManager since its inception. A close observer of arts management trends and technology development, Michelle is a frequent speaker on these topics having presented over 20 sessions nationally and internationally, including for the National Arts Marketing Project Conference, INTIX (the International Ticketing Association), Arts Reach, and Dreamforce, to name a few. She is the co-author (with PatronManager founder Gene Carr) of Breaking the Fifth Wall: Rethinking Arts Marketing for the 21st Century, a handbook for the industry about the importance of building and strengthening relationships with arts patrons. 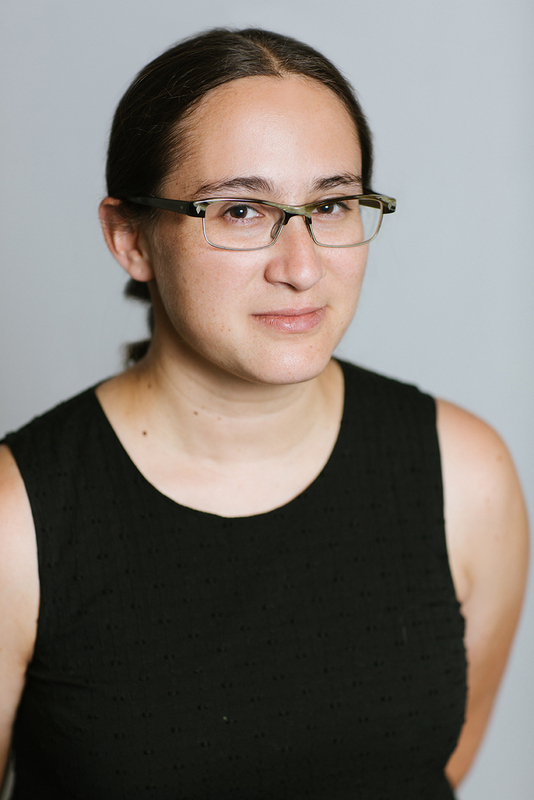 Michelle is a former board member of ELNYA (Emerging Leaders of New York Arts), a professional development group for arts administrators in their 20s and 30s, and served on multiple committees for INTIX. She is a Salesforce certified Advanced Administrator and App Builder, and holds a B.A. in Classics from Wesleyan University, where she was on the board of the student-run theatre company, Second Stage. In addition to binding cross-departmental operations, Nathan heads the Renewals & Retention, Professional Services, and PatronWorkshop divisions. He also serves as company project manager for major projects, as well as the annual PatronManager Client Community meeting. Prior to joining PatronManager in 2009, Nathan was an Associate Director at Nielsen IAG, the premier ad effectiveness research company. While at Nielsen, Nathan managed the live ad data collection process and technology for all television media. He has an MFA in Acting from the University of North Carolina at Greensboro. 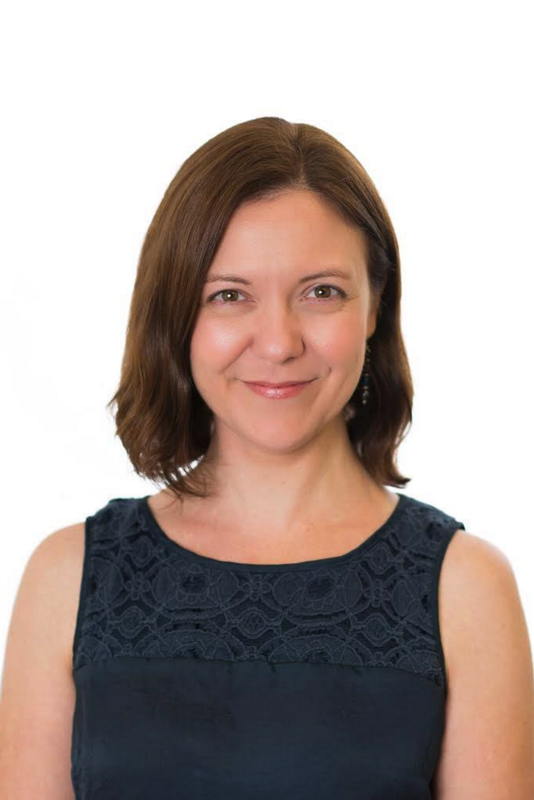 Christa Avampato is the Director of Product Development, a diverse team that includes product managers, designers, platform specialists, and quality assurance testers. 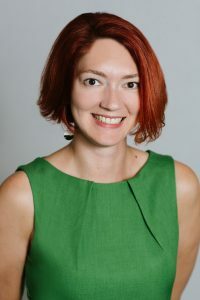 She joined PatronManager in September 2017. Beginning her career in company management for Broadway shows and national theater tours, her career has stretched across Capitol Hill, education, nonprofit fundraising, health and wellness, and Fortune 500 companies in retail, media, entertainment, technology, and financial services. While building a business career, she has built a strong portfolio as a journalist, novelist, freelance writer, interviewer, presenter, and public speaker. Her writing has appeared in The Washington Post, The Huffington Post, PBS.org, Boston.com, Royal Media Partners publications, and The Motley Fool on a wide range of topics including business, technology, science, health, education, culture, and lifestyle. She has been an invited speaker at SXSW, Teach for America, Avon headquarters, Games for Change, NYU, Columbia University, Hunter College, the Alzheimer’s Foundation of America, and the Virginia Festival of the Book. Her first novel, Emerson Page and Where the Light Enters, was published in 2017 and received the Nautilus Book Award for Young Adult Fiction. She is also the producer and host of New York City’s Secrets and Lies, a live storytelling show about secret New York City history produced at Caveat, a speakeasy for intelligent nightlife, on the Lower East Side. Christa received her undergraduate degree in history and economics at the University of Pennsylvania in Philadelphia and her MBA at the Darden School at the University of Virginia where she was the recipient of the C. Stewart Sheppard Distinguished Service Award. David has played a key role with Patron Technology since its founding in 2001, leading a team of dedicated developers in the creation of PatronMail and PatronManager. An early adopter of cloud computing, Dave has leveraged the flexibility and scalability of the cloud to quickly turn concept into production applications ready for mass distribution. 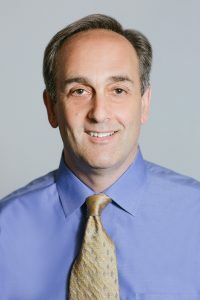 Dave graduated with distinction from Worcester Polytechnic Institute with a BS in Computer Science, after which he founded and became CTO of Powerdime.com. 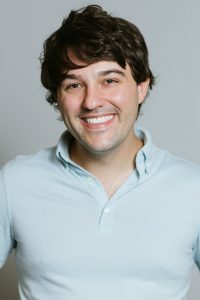 As part of the team at Nine Summer, a software development and consulting firm based in Connecticut, he‘s had strategic involvement in many projects including Crisply.com, TrivialPursuit.com, The History Channel, Readers Digest, Rave Wireless, and Comtex News Network. He holds numerous patents for his work on accessibility features built into Microsoft Windows. Robert Friend has more than 30 years of leadership in the non-profit arts and entertainment industry. He has extensive experience in strategic and financial business operations, with significant expertise in fundraising, marketing, sales, and technology. As head of Business Development and Consulting, Robert is responsible for developing and implementing market strategies to drive sales, intelligence, and revenue growth for the PatronManager community. He is the author and lead consultant for the PatronInsight professional consulting services program and plays a major role in the company’s growth and transformation objectives. Robert is currently an Adjunct for Brooklyn College’s Graduate Program in Performing Arts Management. Previously, he served as founder and lead consultant for Strategic Entertainment Group, a consulting company providing insight and support for arts organizations across North America. 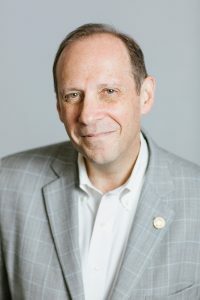 His tenure includes serving as Executive Director for several Connecticut-based performing arts and education service organizations, as Director of Marketing and Operations for California’s Tony Award-winning La Jolla Playhouse, as Director of Institutional Advancement for Connecticut’s Historic Garde Arts Center, and as Associate Director of Marketing for Connecticut’s Tony Award-winning Long Wharf Theatre. Robert is a graduate of Boston’s Emerson College and serves on the College’s Board of Trustees. 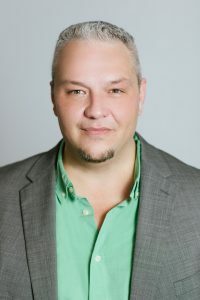 He is a past Board member of the League of Historic American Theatres and recently served as Board Secretary for the International Ticketing Association (INTIX). Rachel Hands, Director of Client Administration, joined PatronManager in the fall of 2011 as a data migration specialist. Two years later she was managing the data migration team, and currently runs our Client Administration team, which provides app support for our 700+ PatronManager clients. A certified Salesforce Advanced Administrator and App Builder, she’s presented at Dreamforce, our own PatronManager Community Meeting, and the Nonprofit Technology Conference on topics ranging from PatronManager customization to diversity and inclusion in the technology industry. Rachel is a member of the Amplify Partners & Accomplices leadership team, working toward that group’s mission to empower underrepresented voices in the nonprofit Salesforce ecosystem to be fearless leaders in technology. In her previous roles, Rachel helped to implement PatronManager at organizations in and around Boston, where she’s based. A New Mexico native, Rachel is also a classically trained musician, with a B.M. in horn performance from the University of Massachusetts Amherst and an M.M. in music history from the University of Cincinnati College-Conservatory of Music. Paul Miller has over 25 years experience helping nonprofit organizations leverage information technology to raise awareness, increase engagement, and execute successful marketing and fundraising campaigns. In 2011 Paul founded NeverDark, a full-service consulting firm where communications professionals with arts and culture backgrounds help clients develop and enrich their audiences. 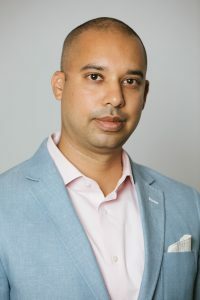 He was an early-adopter of PatronManager, bringing the Glimmerglass Opera onboard in 2011, and he has since served dozens of PatronManager clients in areas as wide-ranging as pre-implementation onboarding, complex data migration, premium level support, and strategic PatronManager consulting. Paul is a multi-genre percussionist specializing in musical theater, where has played in over 2000 performances throughout New York and New Jersey. He holds a BA in the Humanities from Thomas Edison University in Trenton, New Jersey, and an MFA in Writing and Literature from National University in San Diego, California. With a broad-based financial background, Anupam is an experienced and accomplished financial executive in the technology and media space focused on driving long term growth and value. Prior to joining PatronManager, he was the CFO of S2BN, a leading producer of live entertainment, where he led all matters relating to finance. Before S2BN, he was the VP of Finance and Strategy at Penton, a B2B media company, where he helped lead finance, M&A, and the process which ultimately led to a successful nearly $2 billion exit for the company. Previously, he spent 10 years in the investment banking industry. Anupam graduated from McGill University with a Bachelors of Commerce degree and a Masters of Business Administration from Columbia University. He is also recognized as a Chartered Financial Analyst. 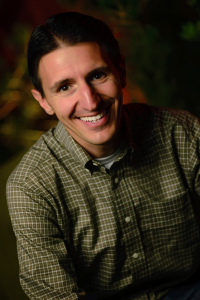 Joe joined the PatronManager team in 2014 and leads the Implementation Services Department. This team focuses on a deep understanding of a client’s business needs and provides focus and attention during the critical first steps of an organization’s PatronManager journey. Before joining PatronManager, Joe spent seven years with Tickets.com providing key leadership on client acquisition and retention, product development strategy, and account management. Joe has over 20 years of experience working in the live entertainment industry with experience in the non-profit and commercial arts, entertainment, sports, and technology sectors. In his career, he has been involved in every aspect of the industry, including sales, marketing, touring, product development and business strategies, and client services. Joe is a proud member of INTIX and has served on the annual INTIX Conference Sessions Planning committee. A Midwest native and California transplant, Joe can sometimes be seen treading the boards of a local theatre and in his earlier career he served as Director of Front of House Operations for the Des Moines Community Playhouse and held professional stage and company management positions with companies such as Gurtman and Murtha Artists, Asian Artists International, Bill Fegan Attractions, and Columbia Artists Management International. Eugene Carr is an entrepreneur who has been a visionary in bringing Internet-based technology solutions to arts & cultural organizations since the early days of the consumer web. As co-founder and CEO of Patron Technology, Mr. Carr wrote Wired for Culture: How E-mail Marketing is Revolutionizing Arts Marketing, which forecast that email would transform the arts industry. The company’s first product, PatronMail, launched in 2001 and provided email marketing technology to over 1,800 arts & cultural organizations. In 2011, Mr. Carr co-wrote with Michelle Paul Breaking the Fifth Wall: Rethinking Arts Marketing for the 21st Century, which described how CRM would change the way arts organizations build relationships with their ticket buyers and donors. Aligning with that vision, the company launched PatronManager, an integrated box office ticketing, marketing, and development solution built entirely on the world’s most advanced cloud-based CRM platform – Salesforce. Today, PatronManager is used by over 700 organizations in the U.S. and Canada, including symphony orchestras, theatres, opera companies, dance companies, university performing arts centers, and museums. Mr. Carr’s first technology company in 1995 was the groundbreaking national arts listing site Culturefinder.com, funded by AOL Ventures and Comcast. CultureFinder.com was first to introduce online ticketing on AOL in 1998. As a speaker, Mr. Carr has given hundreds of seminars in the United States, Europe, and South America, including the National Arts Marketing Project, ArtsReach, Arts & Business Council, INTIX, and the League of Historic American Theatres. Mr. Carr, originally trained as a professional cellist at the Oberlin Conservatory and The Juilliard School, later earned an MBA from Columbia Business School. He served as the Executive Director of the American Symphony and Concordia Orchestras from 1991-95 and prior to that in management positions at American Express. He is the co-chairman of LaunchU, an alumni-lead program he initiated for entrepreneurship at Oberlin College as a member of the President’s Advisory Board. As a musician he has performed in chamber music and orchestral concerts across the country and in over 40 countries abroad. His first solo album, Alba, is available at www.alba-cd.com.